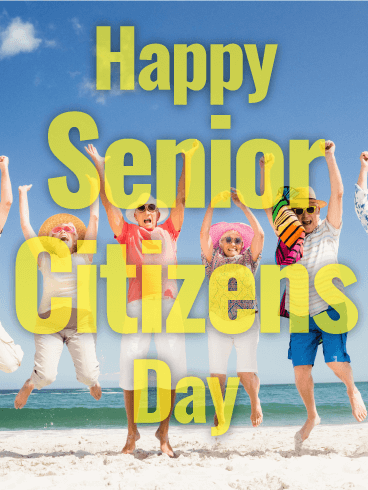 It's Senior Citizen Day ! Originally Posted by Don M.
A person is only as old as they let themselves be....lots of truth in the old saying "You don't stop playing when you get old, rather, you get old when you stop playing". Don, tell that to many of us that endure arthritis pain of some kind. I can still do certain things, but many things that I could do years ago, including ride a horse and rope a steer (rodeo), I sure can't do today. We are lucky we are still able to handle our 20' powerboat and go to the Range for target shooting. Actually, I have a high school classmate, that I graduated with, that him and his wife look like they could be our parents, due to a head full of gray-to-white hair. I was shocked when I seen what him and his wife looked like on FB. But, then again, there's another guy I graduated with in 1968 that has a head full of really white hair. Actually, you are, Holly, as is wife and I. Remember, this is a Senior forum. You just happen to be a later Senior/Baby Boomer. Like yourself, neither of us really act, let alone look, like a Senior Citizen, but we are. Like you, we don't have the typical look of a Senior, as in a full head of gray hair. You wouldn't believe how many people get surprised when we tell them our age, because of no gray hair showing. Wrong Cody...I've not reached retirement age ..several years to go yet, so I'm not a senior citizen yet!!! lol - funny how things work - when we little, folks will tell us "you look older than that" and we take it as a compliment. By the time we qualify for this site, the opposite is true. No one has ever told a senior, upon hearing their age, "yes and you look every minute of it", or words to that effect. Even if you look like death warmed over, people will still say "gee, you look much younger". But that's just me. YMMV. Actually, I have been living with arthritis....and a bit of sciatica....in my left hip/leg for the past 5 or 6 years. When I first went to the doctor with it, the first thing out of his mouth was "do you want a referral to a surgeon?" No Thank You. After some research, I found a series of exercises that allows me to pretty much do anything I want....including wrestling thousands of pounds of firewood for our outdoor wood furnace. In case I've overdone it a bit, I keep a small bottle of Naproxen Sodium (generic Aleve) handy, and take one after supper....that's as close as I want to get to drugs. I keep my weight under control, get plenty of exercise, and REFUSE to grow old without giving it my best shot. We have our own day? Wow, time to celebrate. I've been looking for a good reason to go get a donut. Well, if it's our special day, why aren't there presents, decorations, parades? Especially presents. I want presents. Retired. Nowhere to go and plenty of time to get there. ....I think I hear a parade coming up the street! All I got was grocery shopping that wore my poor ol' senior back out. I didn't even get a discount. Where are all those bag boys anyway? I don't know what the official "Senior" age is, but if it's 60, then 2 of our 4 kids are there already and the other two have only a couple of years to go. Take me back 30 or 40 years and I wouldn't have been able to conceive that our children would be joining us as senior citizens. Maybe after 80 or 85 we should be considered "ancient" citizens or possibly "decrepit" citizens?? It would be fitting - -at least in my case. As others have said, many places in the US consider 55 a senior, and the AARP starts hounding people at age 50. IMO 60 is definitely a senior. Who cares anyway; it's just another label. "You're only as pretty as you feel," said Grace Slick. Dreading this day as a senior citizen. Greetings from a senior citizen.